This week we continue our journey on how to travel to Las Vegas without going broke. If you missed it, see Part 1 here. 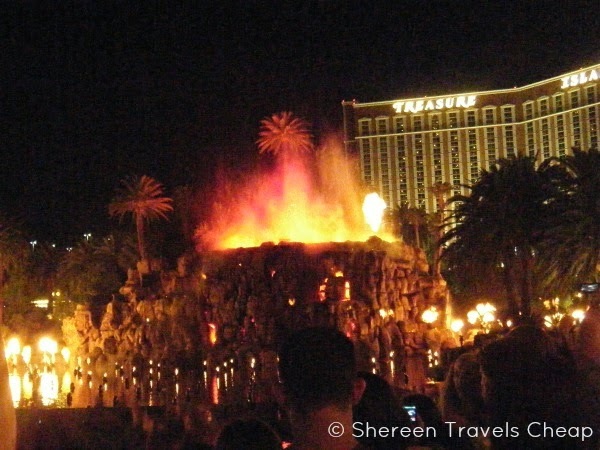 I love Sin City and am always looking to see more things there for a different kind of Vegas vacation. I was able to get out on my own this time, which I really enjoyed, and also dragged Eric along to check out things we hadn't done before. 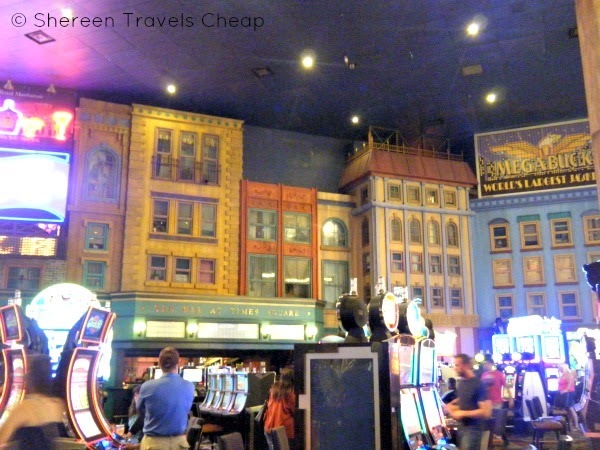 Last time I talked about the Bellagio, Caesar's Palace and the Flamingo, so let's look at some other hotels and activities that will leave you with money to gamble or just save cash to spend on a future vacation. 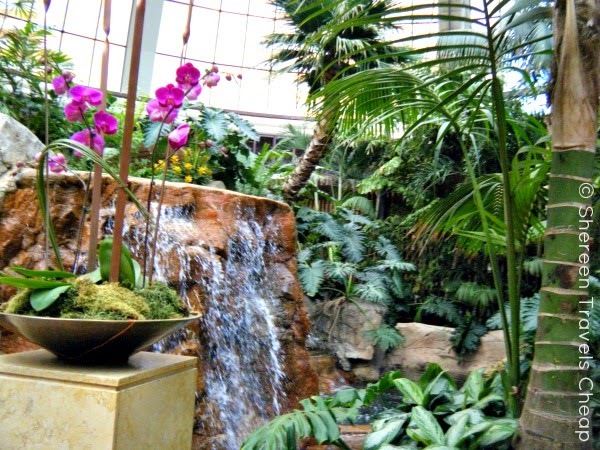 Mirage – We had gone to the Mirage last time we were in town to see the indoor rainforest. Now, I will admit it's not much, but if you do go, make sure it's during the day, because it's much more picturesque. In the dark of the evening, it's not all that impressive, you can't see the water feature or the glass ceiling. Unfortunately, this means if you want to see the other freebies, you need to time your visit just right. 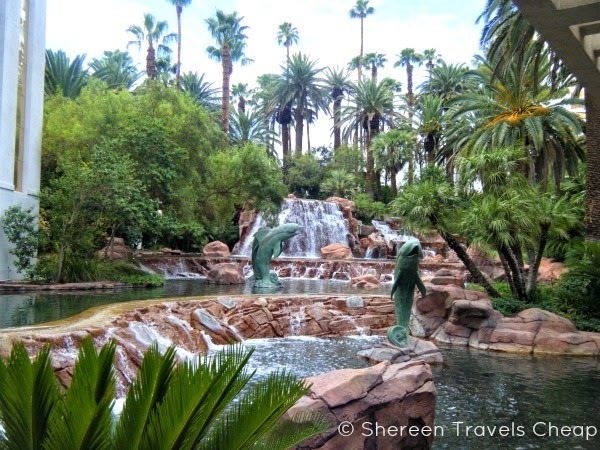 Here's what I suggest: head over in the late afternoon, splash out some bucks ($19.95pp) to visit the Dolphin Habitat and Secret Garden, and then come inside to view the rainforest and take some pics in this tiny little slice of paradise. Head back out front, where you can see the other water features and cement sculptures of dolphins and then wait to watch the volcano erupt. It starts before sundown and runs every half hour, so you can easily also grab a bite to eat inside, possibly at BLT Burger, before you go out to see the eruption. Mirage also has an aquarium onsite with fantastic marine creatures. It's right behind the check-in desk and holds 20,000 gallons of awesomeness. I missed it on my trip, but I'll make sure to catch it next time around. New York New York – If you'd like to visit The Big Apple, but find yourself in Vegas instead, head over to NYNY and wander the streets of New York City, see Times Square and grab a Nathan's hot dog (or something more appetizing) while you sit in a cute little urban neighborhood where you don't have to worry about getting mugged or dirty streets. 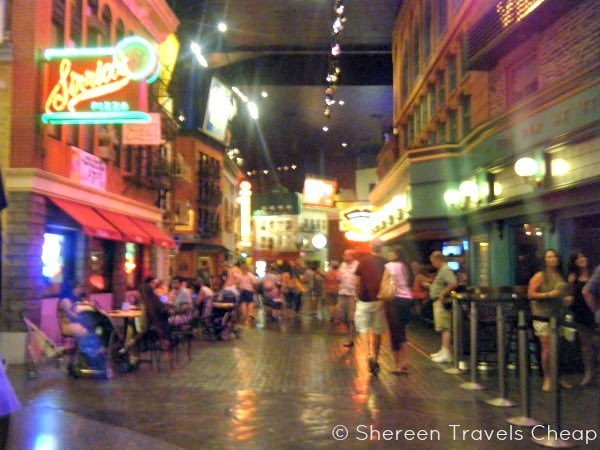 Unfortunately, they've taken out Central Park for more slot space and the steaming manhole covers seem to be gone, but it still has a fun feel and is worth taking a trip over to the resort. If you like bigger thrills than games of chance, you'll want to ride on the roller coaster here. It loops a bunch and gives you amazing views of the resort and The Strip. We were lucky to get a free ride coupon from family who work in the MGM resorts, but you can often find 2-for-1 coupons. If not, and you really want to get your money's worth, skip the $14 one-shot ticket and get an unlimited all-day pass for $25 instead. Bring some quarters for the mandatory lockers. 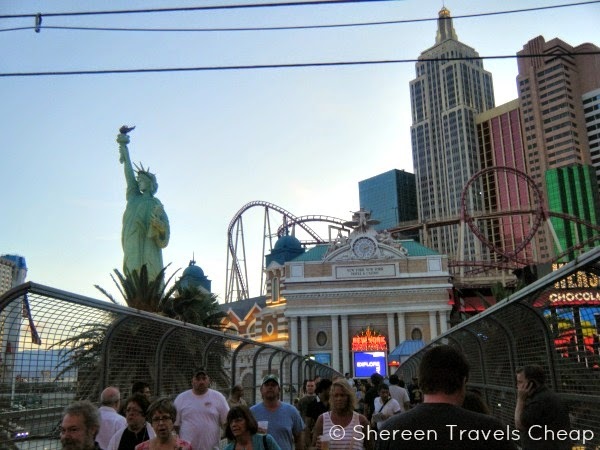 Walk along the street to view the NY skyline, walk along the Brooklyn Bridge and see Lady Liberty. There are some awesome photo ops inside and out at all hours of the day and night. 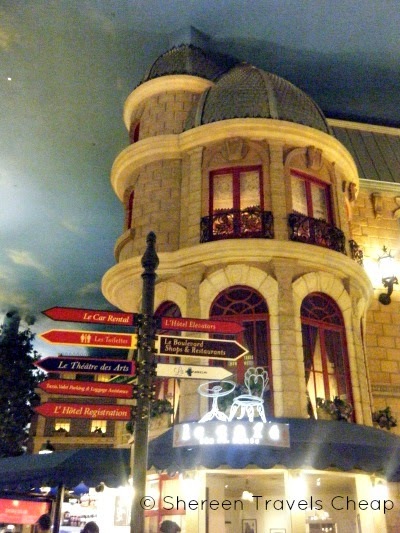 Paris – If Europe is more your thing, walk over to Paris and wander the streets of the City of Light. This is my favorite hotel and resort. I love the feeling of being outside while being inside. 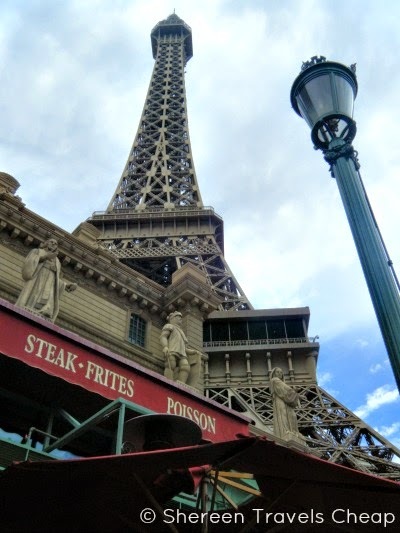 I love seeing the European-style "buildings" and restaurants and, of course, I love the Eiffel Tower. Splurge a bit on lunch at Ile St. Louis, where you sit at a "sidewalk cafe" and get served Parisian-style dishes with amazing service. You won't regret it. If you are looking for a quick meal, go straight to Le Creperie, across from Le Village Buffet and get a delicious crepe and a drink that you can enjoy wherever you find a seat. What are some of your favorite Vegas must-dos?